Earn the most valuable points – and using an arbitrage opportunity, earn them quickly. And transfer them to programs that accept points from a variety of sources. Then you’ll have points for your award goals in no time. The Chase Sapphire Preferred® Card lets you earn 50,000 bonus points after you spend $4,000 on purchases in the first 3 months from account opening. That’s $625 in travel when you redeem through Chase Ultimate Rewards® — but you can do far better than that. And the card earns 2X points on travel and dining at restaurants and 1 point per dollar spent on all other purchases worldwide. It has an introductory annual fee of $0 the first year, then $95. Hotels: Hyatt, Marriott Rewards, IHG Rewards Club, and Ritz-Carlton. It’s probably the best all-around credit card, and with a great signup bonus. I even love using it for car rentals because it comes with primary collision, meaning own insurance may not even need to know about scratches and dings. Earn with Chase Freedom Unlimited Card at 1.5 points per dollar. That’s what they give you on all of your spending. If you only have Freedom Unlimited that’s like 1.5% cash back. But when you have Sapphire Preferred Card also you can transfer the points from your Freedom Unlimited card to your Sapphire Preferred account. And then they’re transferrable to airline miles and hotel points. You really rack up points quickly for award travel when you combine points from your Chase accounts into the same frequent flyer programs that other bank transferrable points transfer to as well. For instance, Air France KLM Flying Blue is also a Citi ThankYou transfer partner so you can pair your points from Chase with your points from the Citi Prestige Card in the same Flying Blue account. And Air France KLM Flying Blue is also a Membership Rewards transfer partner, so you can transfer points from the fastest earning Membership Rewards cards to Flying Blue. Starwood points transfer to Air France KLM Flying Blue as well. And Flying Blue gives you better availability on Air France flights than partners like Delta have access to. 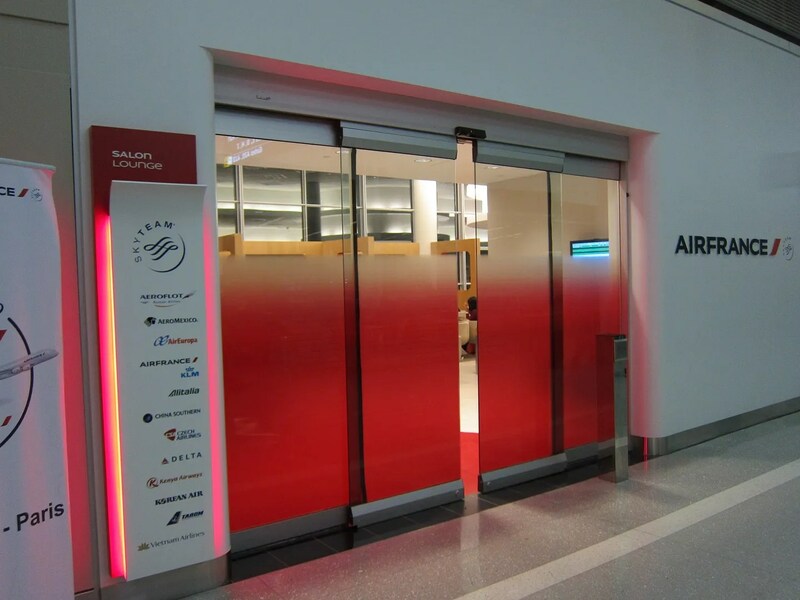 Here are some of the great tricks you can do with Air France’s points. That’s not the only frequent flyer program with more than one transfer program in common. You can move points from Chase, Citibank, American Express and Starwood to Singapore Airlines KrisFlyer as well. 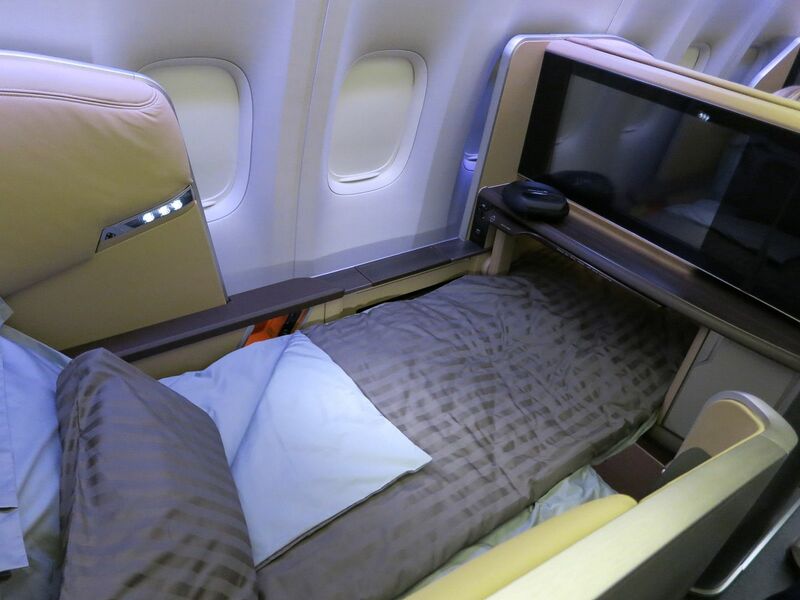 Transfers to Singapore are exceptionally useful because using Singapore Airlines miles you get much better availability redeeming for Singapore business and first class flights than what’s offered to their partner airline members. 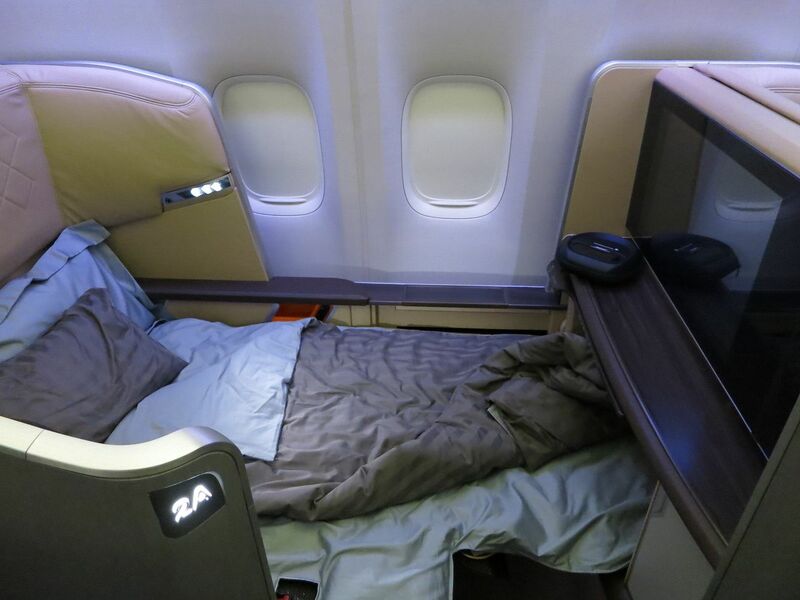 Singapore is also great for redeeming awards in United first class domestically and to Hawaii. What’s especially useful is you can put all of your points earned in large chunks such as from signup bonuses, in one place so that you can redeem for premium cabin awards quickly. Once again, please emphasize that Chase only wants new or relatively inexperienced credit card customers for their products. People should know about the 5/24 rule and useless pulls on their reports. Sorry, my bad. You had emphasized and underlined the appropriate cautions. Arbitrage what? I thought you were going to give us inside scoop. Your advice here is essentially someone telling a poor man “earn more money” and calling it a scoop. How about a post about how Chase quietly changed their transfer rules? If you transfer points to your authorized user’s United account, then you can no longer transfer points into your own United account until the next calendar year. Same with Southwest, etc. When you call in the system tells them to the transfer cannot be performed until the next calendar year. I had a manager read me the line of “You can transfer UR points to only one loyalty program of a specific travel partner per person per year” which sounds like how it used to work but is no longer the case. It is pretty bad when the primary card holder can’t even transfer points to their own accounts. We had to reconvert a Sapphire card to a Sapphire Preferred to use in tandem with an Ink Plus in order to transfer points to both of our accounts. Ah, another weekly post begging for referrals. Breaking news! Industry “thought leader” claims credit cards are the best strategy for earning credit card points. More at 8! @David “Breaking News” @David drives by for a nasty comment! I agree Gary…the strategy of using the Unlimited for everything and the Chase SP for only categories that have 2X points is an excellent strategy I have been using and I do see the difference in the points accumulated. @Elizabeth Another unannounced Chase drastic policy change? Thanks for telling us about that. That sounded bad at first, but as I thought it over, it may be even worse than it first seemed. Does that mean only one program total per year? Meaning if one transfers points to their own UA account, they have to wait until the following year to transfer points to their own SQ account? If so, the so called “flexible” nature of UR points just got gutted. Making Citi TYPs now much more valuable than UR points. @Robert Hanson – No worries (for now) on that front. I’m still able to transfer to multiple partners with the same card. And if you have two cards that can transfer then you should be fine. Thanks for clearing that up. It’s not good news, but not quite as bad as it sounded at first. Sorry to be dense, but I am utterly confused. I have a CSP co-owned with my son, i.e., he is not an AU but we co-own the account. (I did this years ago at the suggestion of a Chase rep so that he could establish credit. Not sure if that was actually better than making him just an AU for this purpose, but that’s the situation.) My wife is also a AU and has a traditional Chase Freedom on which I am an AU. We transfer her bonus points to my CSP account in order to used them for air miles. I have done this twice in separate years with no problem and accumulated quite a few UR points. I have never actually used any of these UR points fore miles because I have never needed to. I figured I could use them to top of my or my wife or son’s United or British Air accounts at any time (in multiples of 1,000) whenever I wanted. E.g., I could top of my British miles for an outbound and my wife’s United for the return on the same trip, and again six months later in the same year if I wanted to. Is this not true? If this is not true, it’s a huge limitation which I have never heard of in six years of avidly following this hobby, and seeing a heck of a lot of promotions for the CSP both here and at TPG. Should I limit my transfers from wife’s Freedom to my CSP to save my “once a year” opportunity for something more important? @Dan I’ve written about being able to transfer points only to a spouse or domestic partner. I’m not sure what you mean by once a year, and I’m not familiar with co-owning an account actually versus having a primary cardmember and an authorized user. Ok so now I am too totally confused. I have a Marriott rewards card with over 400+pts and will be using some of that to add to my United acct. to help get my husband and I to South AFrica next year. We also have a lot of CSP points that we wish to do the same thing. Need to get them into all one acct to put towards flight on Star Alliance partner. Will I still be able to make all those transfers and then transfer them to the Star Alliance partner to book flt? And if so (hopefully) best way to combine them all? @Gary, sorry to confuse the issue by bringing up co-ownership. I will explain at the end. My main concern is the post by @Elizabeth above where she states :” If you transfer points to your authorized user’s United account, then you can no longer transfer points into your own United account until the next calendar year…I had a manager read me the line of “You can transfer UR points to only one loyalty program of a specific travel partner per person per year””. Is this true? If so, it greatly limits the usability of UR points and would require a lot of strategy to get points out of the UR account and to the airlines. There are several back and forth comments after hers, but I just couldn’t follow them. Regarding “co-ownership”. I don’t know if this is the actual technical term, but here is how it worked. I called to make my son an AU when he turned 18. They suggested I put his name on the account along with mine so he could start establishing a credit history. This means he is also responsible for paying the charges as well as me. The bill I get every month is addressed to both of us. He had to sign a form saying he agreed to be responsible for all charges along with me. I guess it is sort of like co-signing a loan. One downside so far has been they would not allow me to move some credit from this card to another because my son would have to approve. I only brought it up because I was wondering if it complicated who transfers can be made to.